Home > Ownership > Accessories and Merchandise > 2016 Toyota Hilux: What accessories are available? The new 2016 Toyota Hilux is like a master tradesperson equipped for almost every eventuality. It arrives with a similar line-up – Active, Icon, Invincible and Invincible X – but with even more generous specification levels. In view of its popularity as both a trade and leisure vehicle, Toyota has a range of over 100 centre-fit accessories for the Hilux. These have been developed to specialise and personalise the vehicle to individual requirements. But with such a broad selection available, deciding which accessory boxes to tick can seem daunting. So to ease the decision-making process we have gathered a selection and bundled them into related packs. The parking aid system features ultrasonic sensors in the front and rear bumpers. These link to in-cabin alarms that grow progressively louder the closer you get to obstacles. The front and rear alarms have different tones and can be cancelled via a switch if not required, such as when towing. 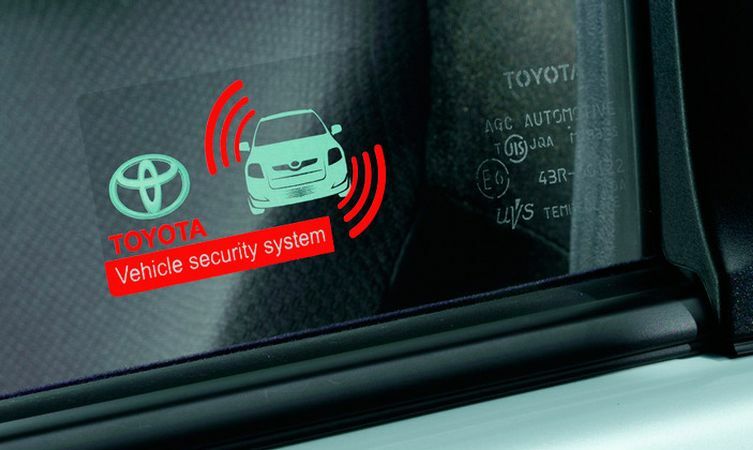 Genuine Toyota security system offers an alarm with a powerful siren to complement the car’s standard immobiliser. All doors and bonnet are sensor-protected, and the interior is guarded by ultrasonic intrusion detection technology. 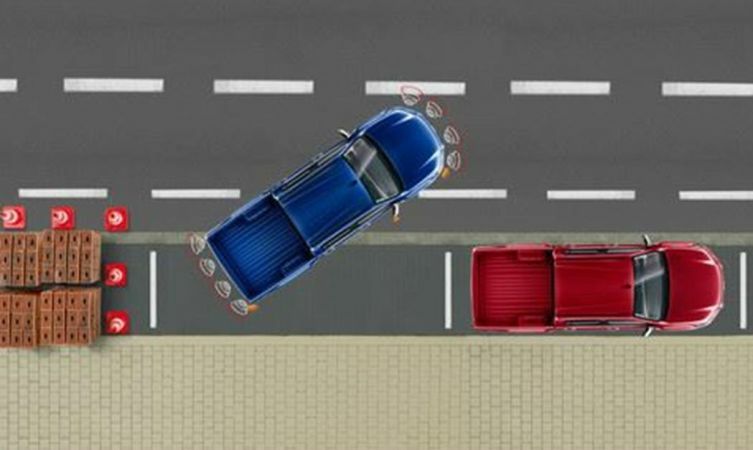 An optional incline sensor is also available to warn of attempted wheel theft and towing. 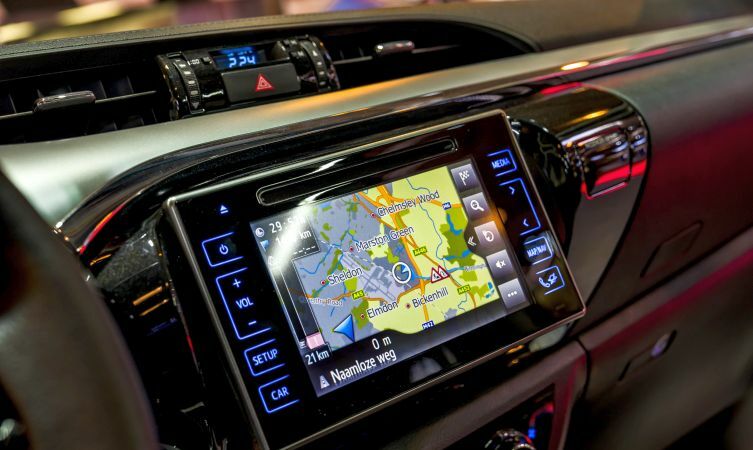 Touch 2 with Go is the latest multimedia package, which adds pan-European navigation to the Toyota Touch 2 audio and information system. Precision engineered black machined-face alloy wheels which combine strength and durability with optimal balance for assured road-holding. Choice of two designs: 17-inch six bold spoke (left), or 17-inch six double spoke (right). Prices are £800 and £900 respectively. 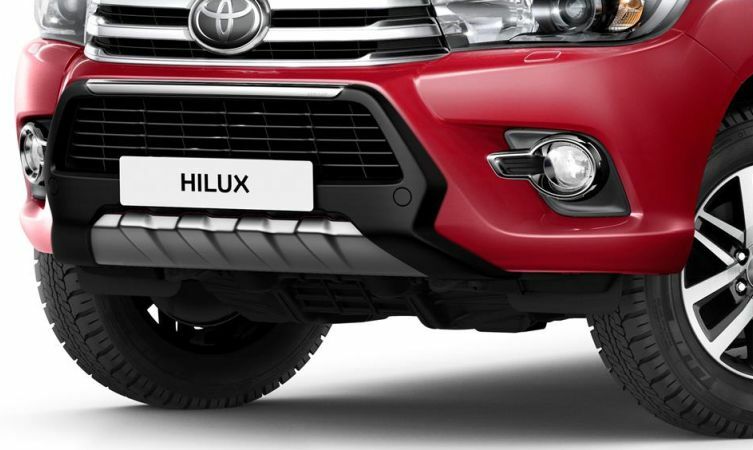 The Style pack brings together a striking front guard and chrome fog lamp surrounds to make the front of the Hilux appear more rugged, along with Hilux (Icon grade) or Invincible (Invincible grade) branded aluminium scuff plates for stylish sill protection. The above products are available individually and can be paired with chrome door handle garnishes (£95-155), headlamp bezels (£115), front bumper trim (£85 – not compatible with front guard) and rear light bezels (£345). Protective items such as side cladding (£275), wheel arch protectors (£245) and bonnet deflectors (£120) can enhance the car’s appearance, while a range of decals (£70-120) is also available. Please visit your local centre for more details. Flanged towing hitches attach to the Hilux body for maximum towing stability and are ideal for small boats, caravans and trailers. 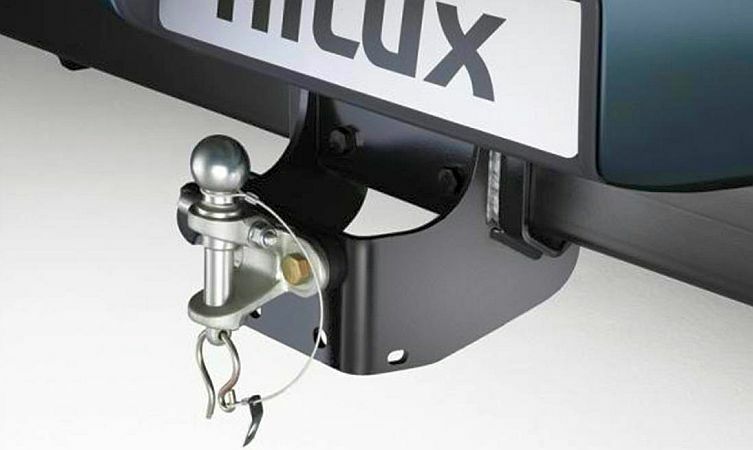 Traditional fixed towing hitch and optional ball-and-pin hitches (see image) are available, each with either 7- or 13-pin wiring kit included. Dedicated 7- or 13-pin wiring kits for Toyota towing hitches are available separately at a cost of £250 or £285 respectively. Tow bar harness adapters are also available at a cost of £10 (13- to 7-pin) and £25 (7- to 13-pin). The Toyota integrated entertainment system gives rear passengers access to a choice of entertainment on the move through powered mounts on the back of the front seats. A range of options for DVD and/or iPad 2 media is available. The dedicated DVD system can be specified in one of three ways – as a single master screen (£750), twin screens running as a master and slave set-up (£995), or twin master screens (£1,250) that can play different movies simultaneously. The iPad 2 system can be specified with either one (£400) or two (£500) powered mounts (iPad is not included) so rear seat passengers can watch movies or surf the internet. A combination DVD/iPad 2 system (£895) is also available that pairs a single master DVD player with a single, powered iPad 2 mount. 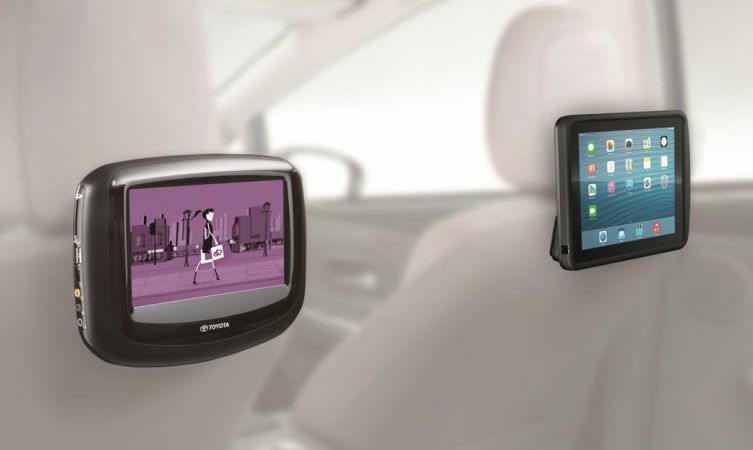 Toyota also provides a range of unpowered and USB-powered docking stations and tablet mounts. Please visit your local centre for more details. The stylish and elegant leather interior kit uses top quality leather, coupled with strict manufacturing processes, to give you the assurance of comfort, practicality and long-lasting durability. The kit includes a padded arm rest, heated front seats and handbrake lever cover. It is fully compatible with airbag operation. Viewed from left to right on the image above, colour options consist of black mechanical, black leisure, dark rose red, dark grey, and beige. The black leather padded arm rest and leather handbrake lever cover is available separately at a cost of £75 and £135 respectively, while other interior extras such as floor mats (from £58), blue footwell illumination (£220), and a removable cup holder ashtray (£40) is also available. Fabric cover options are available to protect both front and rear seats, with prices ranging from £277-487. Specially shaped high-density, rigid polyethylene bed liners are available to protect the deck bed, side panels and rails against paintwork scratching. Over-rail bed liners are specified for Single and Extra Cab body styles, and can be joined by an over- or under-rail tailgate liner (£40) for additional protection. Under-rail bed liners are available on Extra and Double Cab models, with rail protection offered through separate rail caps (£140-144). Unlike a traditional bed liner, the Line-X protective coating is sprayed on to offer an airtight and watertight seal. It is available in both over- and under-rail applications at the same price. Tough, transparent adhesive film (£95-145) is also available to protect paintwork around the front, side deck and tailgate rails. Sport deck packs provide alternative methods and configurations for covering and securing the rear bed of Double Cab models. The two options consist of either a retractable aluminium roll cover (see image above) or a colour-coded and hinged ABS hard tonneau cover. Having decided on the type of cover, you can choose whether to add a stainless steel high-over bar (also available separately at a cost of £680). Finally, you need to decide between a hard-wearing plastic liner or more permanent Line-X spray-on coating for the bed itself. Optional deck cross bars (£310) are available to mount or transport items over the aluminium roll cover. Are there any more accessories available? Absolutely! 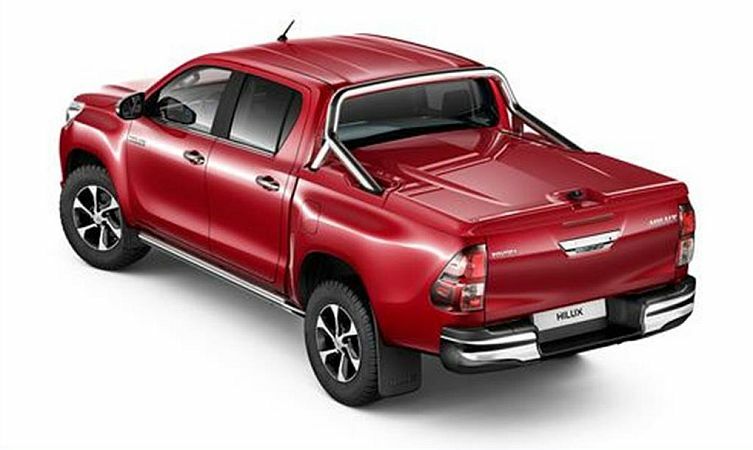 This post has concentrated on the primary accessory packs available for the 2016 Toyota Hilux. Many more individual accessories are available, the full details of which can be discussed with your local Toyota centre. Click the following link to be taken to our dealer locator tool. I would not waist your money on DAB as My invincible has it but never works just says no signal 99% of the time. I have had a list of problems as long as my arm right from day one and still not fixed 2 yrs later despite multiple visits. I am so fed up if I could get my money back I would hand it back!!!!!!! I have been through just about every department and I’m being told they are all like this regards DAB. I am a member on two Toyota forums and lots of Hilux drivers are saying DAB is a waist of time , some have changed the roof aerial and say that has made a big difference. At this time my supper tough Hilux has a forward facing camera that keeps flashing up that it’s not working randomly, more annoying than anything else. Rear tail gate struts that hold tail gate flat when open, left side is tight , right is very slack so all weight is on the left side only, as one takes all the weight its now bent the left side of the tail gate where it fixes too. Toyota again say this is normal they are all like this, if thats the case why bother putting struts on both sides? I had some sort of warning come up on the dash Saturday pm , I called in but service gone home, he said he would put a message on the managers desk and he would call me first thing to Monday, no call by 1pm. I called again and had to leave another message as they were busy, I eventually had a call back at 4:30. They didn’t know what it was and he advised to call the AA to make sure its not doing any damage, I have just took it back to them yet again and left it there and come away with a tinny little car, mind the DAB works in that ! Credit where its due, it is back in the workshop and it looks as though things are looking up, parts are being ordered and updated parts fitted, long overdue but at last things are looking up. If this works , great, but plans are in place if problems still exists. Will keep you posted. That’s great news to hear. If you have any further issues, please let us know or feel free to contact our Customer Relations team. Or the bigger engine becomes avalible or when it’s 10 years old:.. Thank you for the information, My vehicle is a November 2016 Invincible double cab. The weight I am looking for is the maximum load on the tailgate its self if you could find out please. In order to try and assist you further with this, could you please provide us with your registration number or VIN? Hi Yes its VO66FNN thanks . where is the switch for switching off rear parking sensors on a Hilux Invincible X Limited Edition 2018 when towing a trailer ?? Thank you for getting in touch with us. Sorry it has taken so long to reply. The rear cancellation switch to disable TPA can be found on the left side of the dashboard, as you open the front passenger door. If you cannot find it we do have a image we can send to you via email. If you would like this image please could you confirm we can use the email you have given to make this blog comment? Thanks for getting in touch. Please could you provide your reg or VIN number so we can look further in to this for you. Many thanks. Can you tell me why Toyota don’t sell bullbars? Thanks for your comment. Bullbars are not homologated for fitment pre-registration because they don’t pass pedestrian impact testing. We hope this answers your question! How can i delete Coyote on my 2016 Avensis Tourer Excel ? Have you checked the online owners manual or the manual that comes with the car (usually stored in the glove box)? yes been there, done that, absolutely no mention in the either of the two manuals, nor in the online version, (not even listed in the index???) I have read on a post below that there might be a switch missing !! Hi John, sorry about this. Could you please clarify are you unable to turn on the front parking sensors? We have spoken with our technical team and they have advised that the front parking sensor switch should be located on the lower right hand side, behind the steering wheel. It should be a rectangular switch with ‘P///^’ on it. However, our technical department only have a generic model manual for the parking sensors and have advised to head back to your dealer for more information. If you open nearside front door there is a switch located on the side of the dash. This switch operatesthe front sensors allowing for on and off. The switch inside the cab lower right of steering wheel switches both front and rear sensors on/off. can we track the toyota invicible i have ordered, waiting for a delivery date ??? 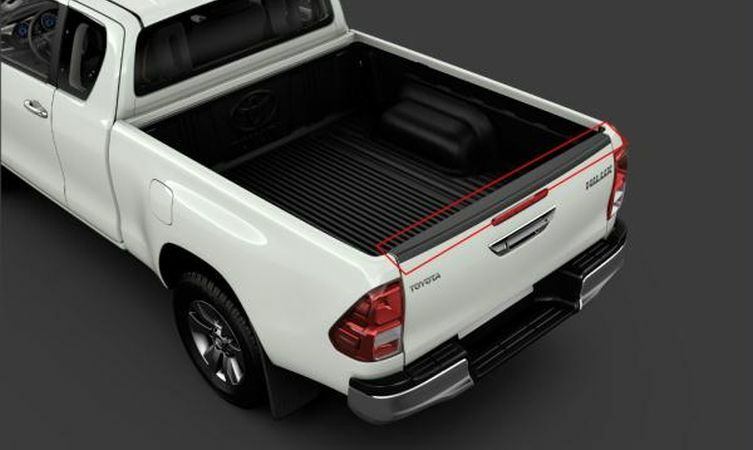 Where can I find out about Toyota approved tie-down accessories for the bed of a double cab 2016 model? Do you supply to South Africa ? Hi Johnny. We do not. Please contact Toyota in your local region for sales information. Thank you. Thanks for you post. Are you referring to the bed lining packs? No it’s the flat rubber mat that covers the load floor and stops stuff sliding about and damage to the bed floor… They are available from Toyota Australia so I would guess they are a genuine accessory, thanks again.. Unfortunately, it doesn’t seem to be featured on the UK website yet. We would advise keeping a look our for this here: https://www.toyota.co.uk/new-cars/hilux/index.json#/publish/accessories_interaction_viewall. Hope this helps! We’re sorry to hear that you feel this way, if you would like to raise anything with our Customer Relations team they’d be more than happy to have a chat with you. We will pass on your feedback. Many thanks! Thanks for your post. 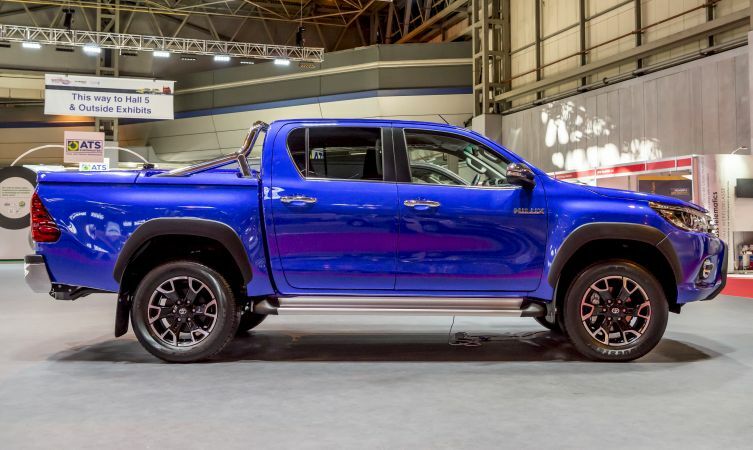 As far as we can see the Hilux comes available with 17″ 6-Spoke Black Machined Alloy Wheels, 17″ 6-double spoke alloy wheels and 17″ black machine-faced alloy wheels (6-spoke). We would advise following this link: http://po.st/CJNsT6. This should help you customise the Hilux. Hope this helps. Many thanks. Is there a DAB radio available for the active grade ?? Thanks for your post. Unfortunately, DAB radio is only available in the Hilux Icon and upwards. However, it may be possible to get a DAB accessory, we would advise contacting your local dealer to see if they are able to help further. Hope this helps. Many thanks.